Our brand’s visual identity creates one of the first impressions the public at large, our community, staff, and students see of Russellville School District. Each employee and board member has a responsibility for promoting our brand identity and ensuring its consistency. 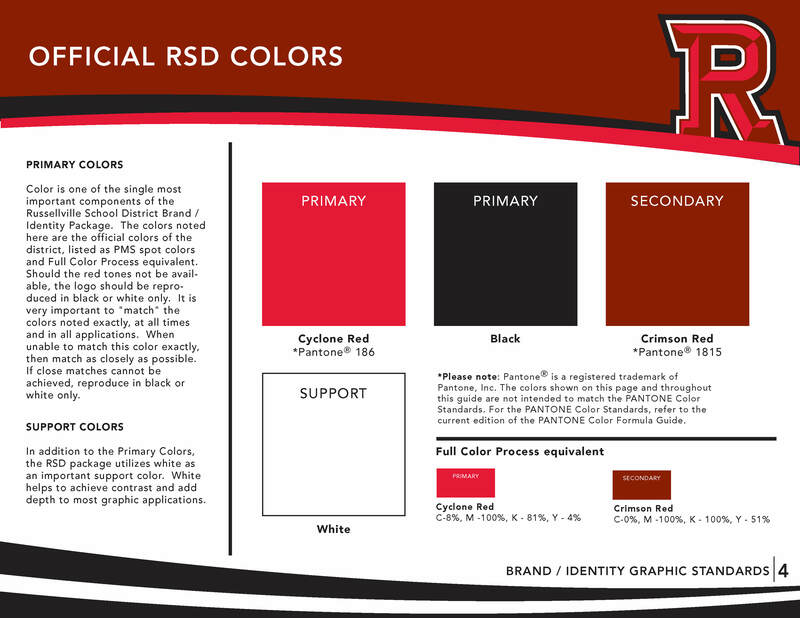 Although there may be occasions when a degree of flexibility is required, the RSD logo standards will help you apply our brand identity correctly in a wide variety of environments. By diligently following these standards, you will protect our identity and ensure its consistency and effectiveness. 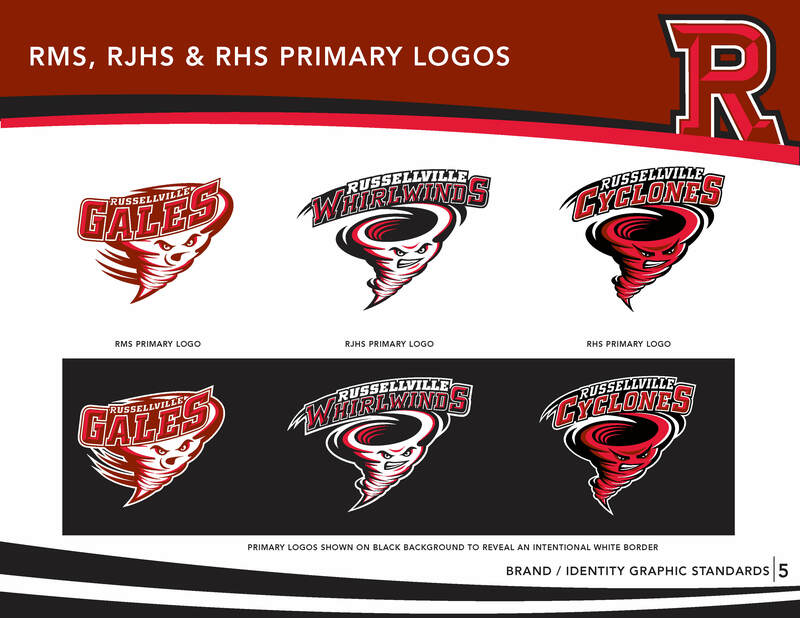 The official logo colors and the primary logos for Russellville High School, Russellville Junior High School, and Russellville Middle School can be viewed at the bottom of this page. Click here to view the full brand identity guide. Our communications coordinator is responsible for ensuring brand consistency across the district. If you have questions about the district brand or using the logos, please contact Ashley Snellenberger at 479-968-1306.